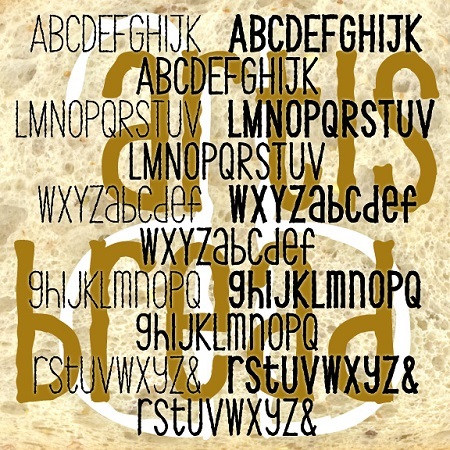 ARTISAN BREAD is a set of three fonts with the feel of earnest, informal hand-craftsmanship. Each combines an “organic” texture with a whimsical approach to letter shapes and case. Available in 3 weights, Thin, Thick and Regular.